The drive for account-based marketing stems from the need for account-level personalization to enable personalized interactions with customers and buyers in modern marketing approach that seeks to integrate sales and advertising. Over the years, account-based approaches have gained traction among sales teams. Account-based marketing (ABM) as an industry has seen rapid evolution over the past few years, witnessed in their rising demand among B2B marketers. The adoption of inbound methodology has made the market more customer-centric. There is a growing shift of companies toward highly targeted accounts, particularly those who want to increase their footprints among high-value customers. The growing pressure among marketing teams to drive revenue growth in the light of growing buying circles is a key factor that has been bolstering the uptake of ABM. The adoption of ABM approach has enabled them to tailor strategy to fit the specific needs of organizations and pursue high-value accounts. The use of various inbound marketing-based technologies has helped end users create content with the right message. The demand for programmatic buying is a case in point. Some of the notable benefits of account-based marketing are in reducing disruption, increasing customer engagement, and better targeting of prospects. The demand for higher return on investment in marketing campaigns is also a compelling underpinning to the adoption of ABM. Over the years, account-based advertising (ABA) and account-based sales (ABS) have become an integral part of ABM, increasing the effectiveness and benefits of such an approach. The growing inclination toward avoiding disruptive messaging through better aligning of ABA and ABS is a key trend expected to open new frontiers in the ABM market. Organizations adopting account-based approach have increased their efforts to align sales and marketing strategies. Advances in marketing technology in recent years has increased the affordability of ABM among end users in various parts of the world. The global account-based marketing (ABM) market is prognosticated to ride on certain positive factors such as improved customer lifetime value to increase its growth. Vendors operating in the global ABM market could bank on the rise of social advertising and social media and need to concentrate on the right audience. However, inaccuracies in datasets and reluctance to move beyond conventional sales practices are foreseen to hamper the demand in the global ABM market. On the other hand, data collection and GDPR practices and difficulties in selecting the right ABM tools could be among certain other challenges of the global ABM market. Nevertheless, increasing impact of big data analytics and AI on ABM is expected to set the tone for significant growth in the global ABM market. Furthermore, rising adoption of cloud-based solutions could create a whole lot of demand in the global ABM market. There are various types of ABM techniques used by organizations across the world: programmatic ABM, ABM Lite, and strategic ABM. Among these, the global ABM market could witness the dominance of strategic ABM in terms of growth. Its quicker growth in the global ABM market could be attributed to the rising need to mainly focus on target individuals and larger accounts directly in the organization. 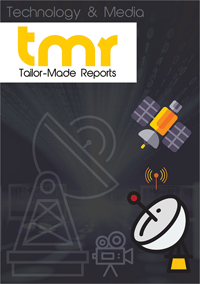 Among end-use industries, IT and telecom is anticipated to show rapid progress in the global ABM market. This could be due to the rising need to provide improved IT-enabled solutions and services to customers and generation of large volumes of data owing to rising number of subscribers. The government and public sector could show faster growth in the global ABM market. This could be due to civil and government service agencies focusing on the improvement of customer satisfaction through customer-centric strategies with the adoption of appropriate ABM tools. Growing interest of digital experience vendors in the global ABM market is prophesied to create lucrative prospects for players in the near future. This could be evidenced by Liferay’s acquisition of a controlling stake in Triblio. The digital experience vendor said in a statement that it would continue to make strategic investment in the expanding ABM business of Triblio. Both the companies are focusing on providing enterprises with enhanced content targeting and customer engagement capabilities. According to Triblio CEO, Andre Yee, the company would like to largely invest in its product development teams and customer success while extending its market reach using Liferay’s strategic commitment and investment. The global ABM market is projected to witness the rise of North America as a leading region because of high penetration of ABM solutions. The developed region could bank on high adoption of cloud-based deployment offering enhanced IT security, 24/7 services, and increased speed and scalability. Enterprises of all sizes are expected to shift to cloud-based ABM solutions from conventional on-premises ones due to rising count of applications deployed over the cloud. Asia Pacific could post a higher CAGR in the global ABM market. The developing region is envisaged to benefit from rising number of internet connections and improving internet speed, growing trend of online shopping, and colossal count of social media users. Asia Pacific also accounts for a significant number of mobile users in the world. The global ABM market includes top players such as AdDaptive Intelligence, Act-On Software, 6Sense, InsideView, and Demandbase. In order to expand their presence in the global ABM market, players are expected to focus on acquisitions, agreements, collaborations, partnerships, product upgrades, and new product launches.